Longtime friend and Brother David Lee Hargett, Jr. passed away Thursday morning at the age of 79. David was well known throughout the fraternity, especially in the Scottish Rite and numerous York Rite-related appendant bodies. The Masonic honors and offices held throughout his lifetime are too numerous for me to accurately ascertain, but if you regularly attended AMD/Masonic Week each February, or went to the annual Great Smokies Summer Assembly of York Rite Masons in Maggie Valley, North Carolina, you undoubtedly knew him. David's Masonic biography reads like an entire lodge full of active men. Although suffering from cancer and in rapidly failing health, David was nevertheless at Maggie Valley earlier this month, and it was openly understood by those who attended that he was there to say one last farewell to his brethren. For those who knew him, David was a patient and kind mentor who inspired so many others to emulate his example. That soft-spoken kindness was coupled with an uncompromising level of standards and expectations, an unsurpassed enthusiasm for the fraternity, and an eternally questing mind. David spent his life always seeking greater knowledge, always making greater and deeper friendships, and always building for those who followed. David L. Hargett, Jr., was born June 23, 1939 in Monroe, North Carolina to Helen Williams and David Lee Hargett, Sr. He was educated in the Monroe City Schools and later at The Citadel, the Military College of South Carolina, Wingate College, Central Piedmont Community College and North Carolina State University. He married Robin Thames and they have two sons, Joey Hargett and Jeff Hargett and five grandchildren. He is a member of the Junior Order of United American Mechanics - Awarded the Certificate of Merit. He also taught management classes in “Controlling Employee Turnover and Absenteeism,” “Human Relations and Motivation,” and “Job Instructor Training” for the Educational Foundation of the University of North Carolina. Grand Sovereign Hargett is a life member and Past Master of Monroe Lodge No. 244 in Monroe, North Carolina. He received the Mason of the Year award in 1995. He is a founder and Charter Life Member of Truth Lodge No. 749. He has served as District Deputy Grand Master for the 39th District of North Carolina and was the Grand Lodge of North Carolina representative to the Masonic Service Association in 2000. 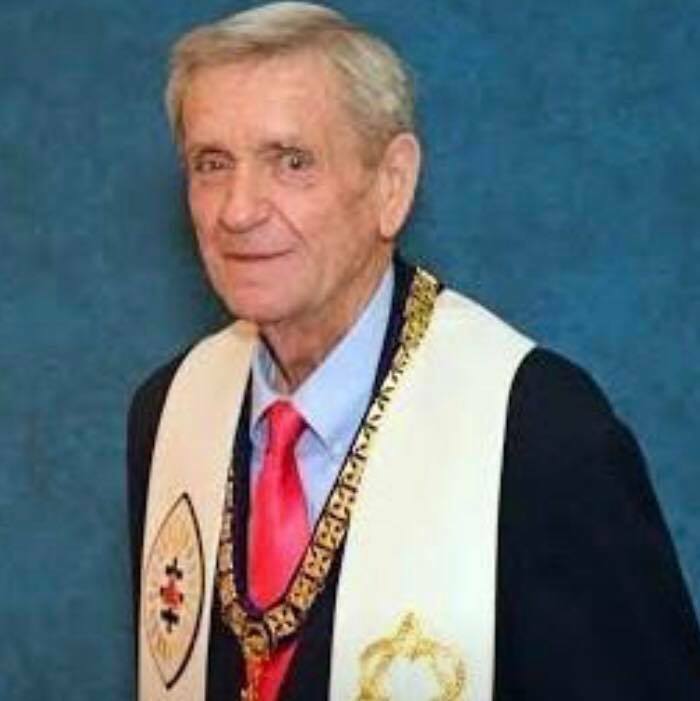 He received the title Knight Commander of the Order of the Temple of Solomon from the Grand Lodge of Ancient Free and Accepted Masons of North Carolina for distinguished Masonic service and achievement. He also received the Joseph Montford Medal for Meritorious Service in 2000. He has served as a member of the Long Range Planning Committee of the Oxford Orphanage in North Carolina and also on the Committee on Masonic Ceremonies and Miscellaneous Publications. He received the twenty-five year Service Award also from the Grand Lodge of North Carolina. He was elected to the Grand Lodge Committee on Finance 2005-2007. He is the Grand Representative of the Grand Lodge of Free and Accepted Masons of Vermont near the Grand Lodge of North Carolina. 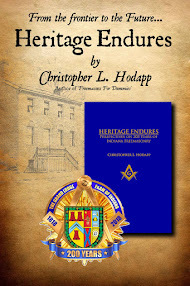 He is also a member of A. Douglas Smith, Jr. Lodge of Research No. 1949 in Virginia. He delivered the W.B. Jack Ball Lecture to Albert Pike Lodge No 1169 in San Antonio Texas and was awarded the Sam Houston Medal by the Grand Lodge of Texas A.F.& A.M., the highest award given by The Grand Lodge of Texas. In the Royal Arch Chapter, Grand Sovereign Hargett is life member and Past High Priest of Monroe Chapter No. 64, Royal Arch Masons. He is a Past President of the Order of High Priesthood in North Carolina and holds honorary membership in thirteen Chapters. He holds the Certificate of Appreciation for Faithful Service and Exceptional Dedication to2the Grand Chapter of Royal Arch Masons of North Carolina. He is PHP of Mount Ararat Research Chapter No. 3 and Grand Representative to the Grand Royal Arch Chapter of Colorado. He has also received the Certificate of Commendation for Contribution for Faithful Service and Exceptional Dedication to the Grand Chapter of Royal Arch Masons of North Carolina. He is PHP of Mount Ararat Research Chapter No. 3 and Grand Representative to the Grand Royal Arch Chapter of Colorado. He has also received the Certificate of Commendation for Contribution and Dedication from the General Grand Chapter, Royal Arch Masons International. 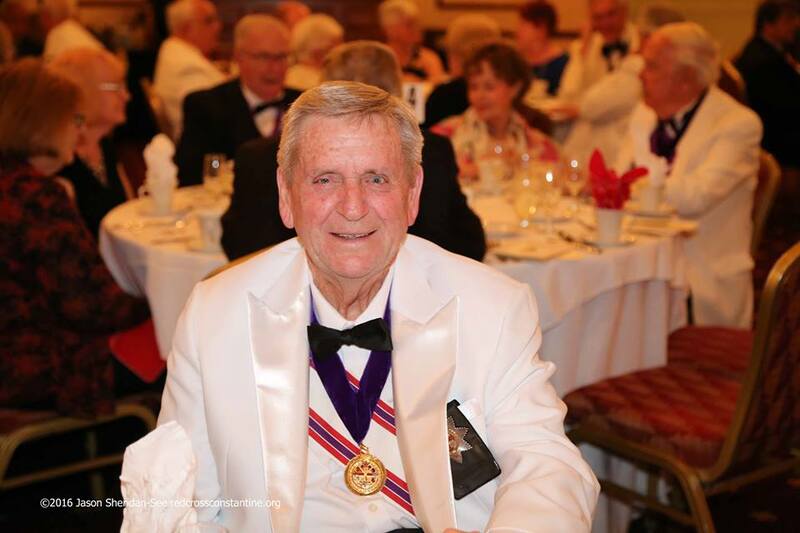 Grand Sovereign Hargett is a life member and Illustrious Past Master of Solomon of the Silver Trowel Council No. 24, Royal and Select Masters and a member of Lenoir Council No. 38 and Roanoke Council No. 1 over which he also presided. He holds honorary membership in eleven other Councils. He has received the Honorable Order of Ish-Sodi from both North and South Carolina and the Simmons Jones Baker Medal for Outstanding Service to the Grand Council of Royal and Select Masters of North Carolina. He is an honorary life member of the Association of Southern Grand Masters of the Cryptic Rite and is Grand Representative to the to the Grand Council of Royal and Select Masters of Vermont. He received the Meritorious Service Award from the General Grand Council of Cryptic Masons International and the Cryptic Mason of the Year Award from the General Grand Council of Cryptic Masons International in 1999. He was made an Honorary Member of Grafton Council of Anointed Kings No. 16 of the Grand Council of Royal and Select Masters of England and Wales and its Districts and Councils Overseas on November 22, 2010. In Commandery, he is a life member and Past Commander of Malta Commandery No. 19, Knights Templar and is a Past Grand Commander of the Grand Commandery of North Carolina. He is a Life Sponsor and a member of the Grand Master’s Club of the Knights Templar Eye Foundation. He served as President of the Southern Breakfast Association 1992-1994; Chairman of the Finance and Budget Committee and as Chairman of the Leadership Development Committee of the Grand York Rite in North Carolina. He also served on the Committee on Charters and Dispensations of the Grand Encampment, Knights Templar of the USA, 1992 – 1994 and on the Committee on Foreign Relations 2006 – 2012. He was Southeast Department Commander for the Grand Encampment of Knights Templar of the USA, 1994 – 1997. He holds the distinction of Knight Crusader of the Cross, as Knight Commander of the Temple, and as Knight Grand Cross of the Temple and Knight Commander of the East, 1994. He is an honorary member of 14 Commanderies. He has served as Preceptor of Sovereign Grand Preceptor’s Chapter of the Sovereign Order of Knights Preceptor, is Past Sovereign Grand Preceptor of Grand Chapter and belongs to the Preceptories in Virginia and Maryland. He is the Grand Representative to the Grand Commanderies of Knights Templar of the State of Iowa and the State of Texas. In the Knights of the York Cross of Honour, Grand Sovereign Hargett is Past Prior and current Registrar of Lily of the Valley Priory No. 1. He holds honorary membership in four priories. He is Past Grand Master General of Convent General, Knights of the York Cross of Honour, serves on the Committee on History and Publications and is Knight Grand Cross. In the York Rite College, Grand Sovereign Hargett is a charter member and Past Governor of Western Carolina York Rite College No. 78. He has served as Deputy Grand Governor and Grand Governor in North Carolina. He received the Order of the Purple Cross in 1985 and was President of the Associate Regents Council 1993-1994. He served the York Rite Sovereign College of North America as Standard Bearer and Marshal General (1996-1998.) He was elected to the Board of Directors in 1998 and was Vice President of the USA Charitable Fund 1998-1999. He holds the Athelstan Jewel with one silver pentagon. He was elected a Regent of the York Rite Sovereign College of North America and holds honorary membership in fifteen Colleges. He has received the rank and decorations of Knight Commander of the Purple Cross and the Grand Cross of York. He served as Governor General of the York Rite Sovereign 3 College of North America 2002-2004. He currently serves as Chairman of the York Rite Sovereign College Committee on Finance and Budget. Purple Cross and the Grand Cross of York. He served as Governor General of the York Rite Sovereign College of North America 2002-2004. He currently serves as Chairman of the York Rite Sovereign College Committee on Finance and Budget. He is an honorary member of the Grand York Rite Bodies of Alabama, Florida, Georgia, Mississippi, Ohio, South Carolina, Tennessee, Virginia. He holds honorary membership in the DeMolay Legion of Honor. Grand Sovereign Hargett is a Past Excellent Chief of St. Patrick’s in America Council No. 1, Knight Masons of the USA. He served on the Board of General Purposes, Grand Council of Knight Masons USA, 1996– 2004 and was appointed to the Investment Committee of the Grand Council of the USA in 2001. He is currently serving as Grand Junior Knight of the Grand Council of Knight Masons of the USA. In the Allied Masonic Degrees Grand Sovereign Hargett is a life member and Past Sovereign Master of St. Andrews in America Council No. 1A. He also holds life memberships in J. Ray Shute Council No. 184, Anson Council No. 202, J. Allen Suther Council No. 377 and is a charter member of Horry Council No. 433. He holds honorary memberships in five additional councils. He is Past Commander Noah in St. Andrews in America No. 1A Royal Ark Mariners Lodge and a member of Howell No. 3A Royal Ark Mariners Lodge. He is a past president of the North Carolina Association of Allied Masonic Degrees and holds the title of District Expert Master of the First District of North Carolina from the Supreme Quarry of the World, Masons of Tyre. Grand Sovereign Hargett served the Grand Council, Allied Masonic Degrees of the USA as Most Venerable Sovereign Grand Master and was appointed Grand Representative to the Grand Council of Allied Masonic Degrees of Canada in 2000. He holds the distinction of Knight Grand Cross of the Order. As such he is Past Grand Supreme Ruler of the Grand Conclave of the Order of the Secret Monitor or the Brotherhood of David and Jonathan in the USA and is a member of the Grand Conclave of the Order of the Secret Monitor or the Brotherhood of David and Jonathan in the British Isles and its Districts and Conclaves Overseas – he was inducted and received into the Order in Summus Conclave No. 3 and admitted a Prince of the Order. He presided over the Red Branch of Eri and was awarded the title of Past Most Enlightened Grand Master and Knight Supreme Grand Cross. He is a Past Grand Bung for the Americas of the Ancient Order of Corks and Past Commander General of the Masonic Order of the Bath in the USA. He holds the Degree of Knight Priest of the Order of Holy Wisdom. He is one of the Nine Muses, elected in 2004 and served as Sovereign Master in 2010-2011. In the Masonic Order of Athelstan for England, Wales and its Provinces Overseas, he was admitted and installed December 18, 2008 in the Province of Hwicce at Watling Street Court No. 3 in England. He consecrated and constituted The Provincial Grand Court of the United States of America and was Installed as Very Worshipful Deputy Provincial Grand Master on February 9, 2011 and awarded Grand Rank (Grand Sword Bearer) by M.W. Michael Henry Roalfe, Grand Master. He consecrated and constituted the North Carolina Court No. 73 on February 9, 2011. He became a member of the Royal Order of Masonic Knights of the Scarlet Cord in the UK on November 12, 2008: 1st Degree 2nd Degree Obligated, entrusted, and Invested an Ostiarius or Door-keeper 4 Invested a Lector or One of the Eleven Elected. Chosen and Further Invested as a Healer and One of the Nine Elected. 2nd Degree Invested a Lector or One of the Eleven Elected. Chosen and Further Invested as a Healer and One of the Nine Elected. 3rd Degree Chosen and Promoted to Fellow of the Scarlet Cord and Elevated to the Rank of Exorcist February 13, 2010. He has received the President’s Degree On November 22, 2010 he was also elected to membership in Grafton Council of Anointed Kings No. 16 at Mark Masons Hall in London, England. 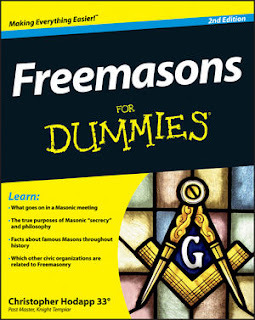 He is a member of the Sirius Study Circle that meets at The Masonic Hall on Grove Road, Sutton, UK. He holds the Royal Order of Zanzibar and is a member of the Grand Lounge of North Carolina and the Grand Lounge of Florida. In the Ancient and Accepted Scottish Rite he is Past Venerable Master of the Lodge of Perfection in the Valley of Charlotte, Orient of North Carolina. He received the 32nd Degree on April 30, 1970 and is a Knight Commander of the Court of Honour. Grand Sovereign Hargett is a honorary life member and permanent life member of the Provincial Grand Lodge of the Royal Order of Scotland for the United States of America. In the Shriners he is a Noble of Oasis Shriners of Charlotte, North Carolina and a member of the Past Masters’ Unit and Hillbilly Clans No. 2 and No. 3. He is a member of the “Replace Yourself with One” membership program for the Imperial Council of the Shrine. In the Grand College of Rites, Grand Sovereign Hargett received the Knight Grand Cross of the order in 2004. He served as Grand Redactor in 2008, Grand Prelate in 2009-2010 and is Grand Senior Vice Chancellor in 2011. In the Red Cross of Constantine, Grand Sovereign Hargett was installed in St. Titus Conclave in 1986 and served as its Sovereign in 2002. He served as Intendant General for North Carolina and was elected and installed as Grand Sovereign on June 11, 2011 in Boise, Idaho. He holds the Knight Grand Cross of the Order. In the SRICF he is Chief Adept of North Carolina College, holds the IXth Grade and serves the High Council for the USA as its Preceptor. Grand Sovereign Hargett is a member and Past Preceptor of Holy Sepulchre Tabernacle No. III Holy Royal Arch Knight Templar Priests and received the rank and decoration of Knight Commander. He is Grand 5th Pillar for the Grand College of America, HRAKTP. He is a member of the South Carolina Lodge of Research, The Scottish Rite Research Society, The Philalethes Society and is the North Carolina local secretary for Quatuor Coronati Lodge of Research No. 2076. 5 Grand Sovereign Hargett is a member and Past Patron of Monroe Chapter No. 113, Order of the Eastern Star and received the Rob Morris Membership Jewel. He served as a District Deputy Grand Patron of the 18th District in North Carolina and is an honorary member of eight other chapters. He became a member of Blackheethe Chapter, T.I. Order of St. Thomas of Acon February 17, 2000 and was a charter member and founder of Trinity Chapter No. 112 in the United States and also a charter member and founder of Shute Chapter No. 53 in Monroe, North Carolina. He is a Past Worthy Master and currently serves as Provincial Grand Marshal of the Provincial Grand Council, USA. He is also a founder and Cellarer of Pride in Surrey Chapel No. 93 in the United Kingdom. Grand Sovereign Hargett is a Knight in the Chevaliers Bienfaisants De La Cite Sainte (Knights Beneficent of the Holy City.) He has been invested with the Supreme Grade of the Order and serves as Prefect of the Southeast Prefecture. He also belongs to the Grand Priory of Knights Beneficent of the Holy City of the Rectified Scottish Rite of England and Wales where he was made a member of St. James Priory No. 3 at Mark Masons Hall in London, December 18,2009. He received the Professed and The Grand Professed Knight Orders of the CBCS and received the Laying on of hands October 9, 2010 in Newark, NJ. In other bodies, Grand Sovereign Hargett is a member of the Grand Order of the IMPS; a member of the Military Order of the Garter and the Order of the Golden Poppy. He was somewhat embarrassingly presented the Drowning Bear Award by the Nantahala Survivors. He was inducted into the George Dickel Tennessee Whiskey Water Conservation Society in Recognition of a Unique, Tall Walking, Smooth Talking, Mastery of the Fine Art of “Going With The Flow.” He is a lifetime member of the Sour Mash Quaff and Quote Consanguinity, Elijah Craig Chapter No. 1. He was made a Tennessee Squire and Life Member of the “Society for the Preservation of Early American Art” Tennessee Type. In the esoteric orders he is a member of the Oriental Masonic Order of the Primitive & Rectified Rite of Memphis Misraim, having received the 33rd thru the 95th Degrees September 11, 2009 in Sutton, England. In the Order of Isis he is a member of Urania Temple. His record in the Hermetic Order of the Golden Dawn is as follows 0=0 Grade of Neophyte October 22, 2005 December 18, 2005 December 9, 2006 September 27, 2008 December 5, 2009 February 28, 2010 1 = 10 Grade of Zelator 2=9 3=8 4=7 Grade of Theoricus Grade of Practicus Grade of Philosophus Portal Ceremony Received as an Adeptus Minor in the Order of the Rose Cross Grade 5=6 April 10, 2011. In the Martinist Order of Unknown Philosophers his record is as follows: Associate Degree Initiate Degree Unknown Superior Degree October 21, 2005 6December 18, 2005 December 19, 2005 Initiate Degree Unknown Superior Degree Unknown Superior Initiator In the Unknown Philosophers (Elus Kohen): December 18, 2005 December 19, 2005 December 19, 2006 Chevillion – Chambellant. Affiliation: Temple of Florida 1st Degree thru 7th Degree 8th Degree – Elect Master Kohen 9th Degree – Knight of the East 10th Degree – Reaux Croix (Parvis and Porch Class) (Grand Architect)September 4, 2009 (Temple Class) (Grand Elect of Zorobabel)December 8, 2009 (Temple Class) March 14,2010 at Sutton, UK He received Charter for Hermes - Hiram Chapter of Unknown Philosophers. It is an understatement to say that Masons like David Lee Hargett, Jr. don't come along very often, and they leave behind an enormous void for the rest of us to attempt to fill. When columns like David's break and fall at last to the ground, this fraternity shudders to its very foundations. And of course, I want to offer my very deepest condolences to his wife Robin and their entire family. Their loss is greater than the rest of us can adequately comprehend, but I thank them from the bottom of my heart for letting us all have so much of David's time. That is a debt none of us can possibly repay. Visit the funeral service website HERE for updated information.